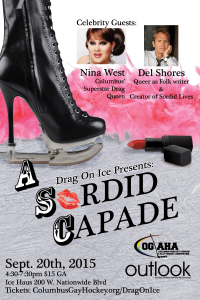 COGLAHA would like to thank all the guests and entertainers that came out to support the return of Drag on Ice. We hope you had a fabulous time and will come back next year for a bigger and better show. Do you have any photos or video you’d like to share? Tag us on Facebook or Twitter and use #DragOnIce.